Plantations & Gardens – Charleston Shines! Kiawah Island is about an hour day trip from Charleston. This popular bloom appears at the first sign of spring, making the Camellia a welcome sight for winter-weary natives. This flower can vary significantly in its size and shape as well as color. You may notice pink, white, or red Camellia blossoms begin to form against dark evergreen leaves. Camellia trees make excellent hedges and borders and do well when planted together to create a wall of sheer beauty. The trees can also grow up to 65 feet tall making them a favorite for all to see. The Magnolia Plantation and Gardens offers daily walking tours to showcase these magnificent native plants. Camellias are essential to Charleston and the surrounding area for the tea that comes from their scented leaves and flowers. Many of the city’s historic farms continue to grow Camellias today. These common southern plants also native to the area, bring forth pink and red bursts of color when they bloom in the spring. You’ll see these lovely shrubs announcing their arrival after winter with brilliant shades. Azaleas are popular to use as hedges or as anchor plants in gardens to fill in the landscaping. They’re also great for providing privacy for backyard dining areas. Azaleas aren’t tough to grow, so you’ll find them in wild areas around the city. The flowers have a long history in Charleston and are one of the most beloved plants around. They’re part of the rhododendron family but are considered to be a higher quality plant than the rest of their relatives. It’s hard to miss the vines of Wisteria that bloom in beautiful shades of purple during the spring. This climbing plant wraps its way around many buildings in downtown Charleston, framing the noted history of the city. You’ll also see Wisteria climbing gates and lamp posts. The plant can be aggressive and choke out nearby vegetation. You’ll note the clumps of purple colored blooms that make their way all over the vine. Some vines can grow up to 65 feet off the ground and spread over 30 feet wide making them quite the show stopper at maturity. You’ll see an abundance of yellow when Forsythia begins to bloom in Charleston. This gorgeous plant offers golden blooms that are easy to spot. Forsythia comes in a variety of forms as different breeds produce both regular and dwarf options. You’ll find that Forsythia is a rapid grower and can easily stand up to 10 feet tall and wide given the right soil conditions. It’s known for its slightly unkempt appearance making it a favorite to add variety to a stately cultivated garden. These plants definitely draw attention to areas around the city. The sheer amount of profuse blooms on the Forsythia make this an easy one to spot during springtime in Charleston. You can’t go far in Charleston in the spring without spotting these gorgeous trees. Crepe Myrtles are the original ‘Southern Hospitali-Tree.’ These smaller trees came to America through the port in Charleston and began to bloom immediately. It produces blooms in a variety of colors including red, pink, white, and purple. The arching branches of the Crepe Myrtle also give this tree a soft, endearing look that makes them perfect in many cultivated gardens around the city. There are plenty of gorgeous plants to see in South Carolina in the coming months, but none compare to the popularity and beauty of these five blooms you’ll see everywhere in Charleston this spring. John Williams is a guest writer, an outdoor living expert and explorer. When he’s not traveling to nature’s most well-known beauty spots, he tends to the greenery surrounding his home. Give the gift of Museums for Christmas! “During the month of January 2018, enjoy access to participating Museum Mile sites with the purchase of one low ticket price! 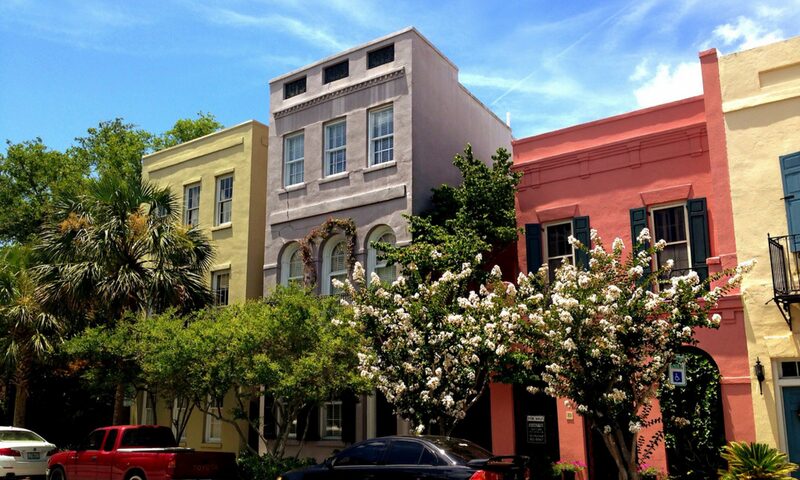 With the Museum Mile Month pass, you can spend an entire month learning about Charleston’s rich history and culture while visiting sites in the order that best fits your schedule. Tickets ordered in advance can be mailed to your door or you may request to have them held for pick up at The Charleston Museum, the Heyward-Washington House or the Joseph Manigault House. Magnolia Plantation and Gardens – Charleston, S.C. Listed on theNational Register of Historic Places. ‘Magnolia Plantation and Gardens (70 acres, 28 hectares) is a historic house with gardens located on the Ashley River at 3550 Ashley River Road, Charleston County, South Carolina, United States. 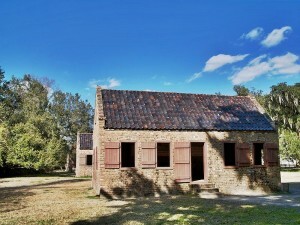 It is one of the oldest plantations in the south, and listed on theNational Register of Historic Places. ‘A variety of tours are offered including the slave quarters and the family home. Tram tours are led by naturalists and visitors often see alligators, turtles, snakes, peacocks and waterfowl. The gardens are one of the oldest INFORMAL gardens in the U.S. with cooperation with nature rather than control of nature’.Adapted from article about Charleston by Judith Evans. The house and gardens are open daily; an admission fee is charged. Magnolia Plantation is located near Charleston and directly across the Ashley River from North Charleston. The plantation dates to 1676 when Thomas and Ann Drayton built a house and small formal garden on the site. 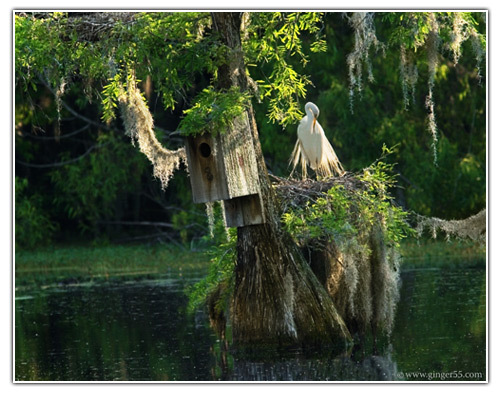 There is a lovely blog post related to Magnolia Plantation, magnolias and camellias entitled, Magnificent Magnolia Plantation: By Gene Phillips. 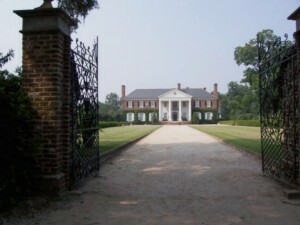 Preservation Society of Charleston – Charleston, S.C.
Drayton Hall – Southern Plantation in Charleston, S.C.
‘Drayton Hall is the closet plantation to Charleston. It is the only plantation home in Charleston not destroyed in the Civil War. The owners fled leaving the property to the slaves. The slaves saw smoke near Magnolia Plantation and put put yellow quarantine flags at the gate to make Union soldiers think there was malaria present.’ Adapted from article about Charleston by Judith Evans. ‘Drayton Halls story spans three centuries of American History. It is the oldest surviving example of Georgian Palladian architecture in the U.S. and one of the only pre-Revolutionary houses that remain in close to original condition today.’ See DraytonHall.org for more. Open 7 days a week except major holidays. Museum Shop: 9:00 a.m.-4:45 p.m.
House Tours: Starting on the half hour at 9:30am. Please arrive at least 20 minutes before the start of the tour. 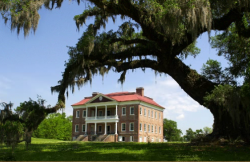 Connections: From Africa to America: 10:45 a.m., 12:45 p.m., and 2:45 p.m.
Voices of Drayton Hall: An Interactive Landscape Tour on DVD: Available for complimentary rental throughout the day; enjoy at your own pace. Museum Shop: 11:00 a.m.- 4:45 p.m.
House Tours: Starting on the half hour at 11:30am. Please arrive at least 20 minutes before the start of the tour. Visitors wishing to take a house tour should arrive at the front gate at least 20 minutes before the start of the tour to allow for ticket transaction, parking, and check-in. If a house tour is sold out, you will be offered the next available tour of your choice.In addition to the house tour, there are other daily activities and programs available, and all are included in the price of regular adult admission-just click on Things To Do in the right hand column. Audobon Swamp Garden – Magnolia Plantation and Gardens, Charleston, S.C.
Daily, 365 days a year. From opening until 5:30 PM. However, once you have purchased your ticket, you can stay and enjoy the Audubon Garden until dusk. Allow 1 hour for the self-guided walk. 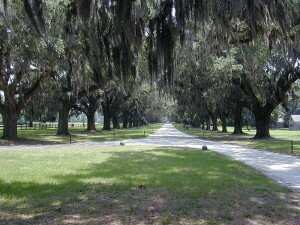 Boone Hall Plantation & Gardens, Mt. Pleasant, S.C.
‘The Boone Hall Plantation and Gardens is an antebellum plantation located in Mount Pleasant, South Carolina and listed on the National Register of Historic Places. Civil War & Charleston, S.C. Event date: May 4, 2019 Event Time: 10:00 AM - 12:00 PMLocation: James Island County Park871 Riverland DriveCharleston, SC 29412Description:This fun and relaxed class will get you started with instruction on safety and the proper paddling technique that will allow you to progress comfortably at your own pace. Event date: May 4, 2019 Event Time: 02:30 PM - 03:30 PMLocation: James Island County Park871 Riverland DriveCharleston, SC 29412Description:Each weekend we're offering quick start Stand Up Paddleboarding classes taught by ACA-certified instructors. Each one-hour lesson will teach you the basics of stand up paddleboarding, from proper stance and form to safety. Event date: May 4, 2019 Event Time: 01:00 PM - 02:00 PMLocation: James Island County Park871 Riverland DriveCharleston, SC 29412Description:Each weekend we're offering quick start Stand Up Paddleboarding classes taught by ACA-certified instructors. Each one-hour lesson will teach you the basics of stand up paddleboarding, from proper stance and form to safety. Event date: April 27, 2019 Event Time: 01:00 PM - 03:00 PMLocation: James Island County Park871 Riverland DriveCharleston, SC 29412Description: Learn about the fun-filled sport of kayaking. During this 2-hour hands-on informal program, our experienced instructors will show you how you can enjoy the local waterways and wildlife from a sea kayak. Event date: April 27, 2019 Event Time: 08:30 AM - 12:30 PMLocation: Johns Island County Park2662 Mullet Hall RoadJohns Island, SC 29455Description:The Mullet Haul features a 5K and 10K on the trails of Johns Island County Park. Stick around for the post-race party with delicious food, cold beverages, and music. Event date: May 8, 2019 Event Time: 05:30 PM - 07:30 PMLocation: Old Towne Creek County Park1400 Old Towne RdCharleston, SC 29407Description:Wind down your Wednesday, and explore Old Towne Creek County Park, one of West Ashley's hidden gems. Guests will enjoy wine and live music while experiencing the beauty of this natural site. Event date: April 24, 2019 Event Time: 05:30 PM - 07:30 PMLocation: Old Towne Creek County Park1400 Old Towne RdCharleston, SC 29407Description:Wind down your Wednesday, and explore Old Towne Creek County Park, one of West Ashley's hidden gems. Guests will enjoy wine and live music while experiencing the beauty of this natural site.